Product prices and availability are accurate as of 2019-04-14 12:06:55 BST and are subject to change. Any price and availability information displayed on http://www.amazon.co.uk/ at the time of purchase will apply to the purchase of this product. 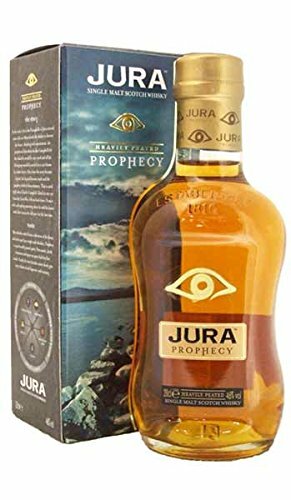 A very peated edition from Isle of Jura, Prophecy is made from a selection of old and rare Jura whiskies. Very interesting indeed. Smoky and dry, a muscular, powerful Jura with notes of nutmeg, cardamom, sea spray. Coal tar.